The Dummies series has a well-respected history of putting complex topics into digestible explanations. Stock Charts for Dummies is no exception to this rule as this text does a fantastic job of simplifying the complexities inherent in this topic. This review is intended to give a brief overview of this title and to point out some strengths and weaknesses that can be found within. Check PriceWhile most books on stock charts focus only on reading these graphs, Stock Charts for Dummies goes a step further by showing readers how to build their own charts. This book describes the stories told by each chart and the implications held within. Stock Charts for Dummies also helps to illustrate how the different parameters involved will impact what is seen on the chart. Readers will gain in-depth knowledge on how to build their own charts with available software. This book details specific tools that can help give traders a greater insight into the performance of particular stocks to help improve general understanding. 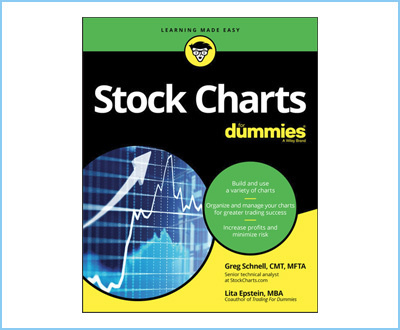 Stock Charts for Dummies dives into multiple different forms of trading to show all readers how to construct and read charts for their personal goals. This book concludes by showing readers how to put their newfound knowledge of stock charts to use in real-life trading scenarios. This helps to provide a bridge for readers between the theoretical and practical aspects of stock charts and trading at large. This book taught us that stock charts can be customized to any form of trading. We learned that different chart tools will be needed when trying to track different movements within the stock market. After reading this book, we now understand that stock charts are one of the most accurate displays of what is happening within the stock market. We learned when stocks should be sold before they begin to decline in value. This book taught us the key differences between candlestick charts, bar charts, and line charts. We learned the advantages and disadvantages of each type of stock chart and when it is ideal to use each. We now understand how to view the stock performance from varying perspectives which can help improve decision-making skills. This book taught us how to use indicators on a chart and how to base decisions on this information. We learned how to handle the emotional aspect of trading and investing through understanding stock charts more in-depth. The positives of Stock Charts for Dummies greatly outweigh the negatives, although we have identified some examples of each. We felt that the book was organized in a way that helps to guide the readers through a progressive understanding of the subject matter. The text never starts off assuming that the reader knows too much about the topic. Explanations are clearly laid out for particular subjects before being used to make an important point. We also liked how the book remained focused on the chosen topic. There wasn’t any frivolous content about the stock market or other relevant subjects. Every chapter was keyed in on explaining stock charts. Despite being a very limited list, there were some things about this book that we didn’t like. Towards the end of the book, the author describes ways in which this text can help readers begin investing in the real world. This section is meant to bridge the gap between the theory presented in the book and the practical nature of using the stock market in real life. While this is an important subject, we felt as though it could have been left out of the book. The primary focus of the text remained around building stock charts. 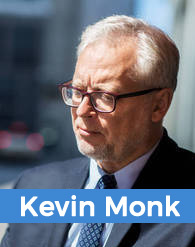 There wasn’t a whole lot of time spent on explaining how to actually read them and make smart investment decisions based on their information. For this reason, we felt that the last piece speaking of investment in the real world was slightly incomplete and not needed in this book. For those wanting to learn more about how to build their own stock charts, this guide is an excellent place to start. Other resources will have to be consulted to fully understand how these charts can be integrated into actual trading techniques, but this book remains a great place to start. Let us know what you think about the book below.